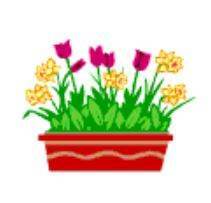 Build a window box in an hour with free window box plans. A simple unit that holds flowerpots and mounts securely to the wall is a simple project that can dress up your whole house in just an afternoon. There are also free window box plans that use cedar or redwood to create planting boxes that hold your most beautiful blooms and will withstand the weather for many years. 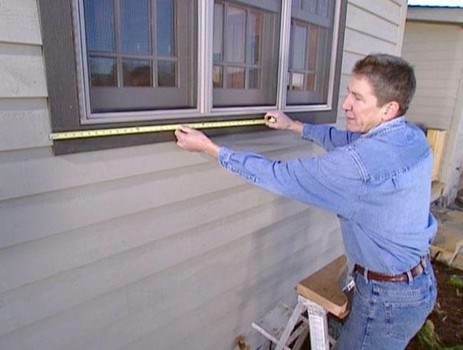 Use exterior stains and finishes to extend the life of your window box. These projects are simple and require few tools. Dress up your window boxes with striking paints to match your home's color scheme or add colorful wooden tulip medallions for a spot of color. Wooden mounting brackets are simple to make, or buy ready-made metal or wrought iron brackets for a quick and easy project. Use galvanized or stainless fasteners for long life and durability. 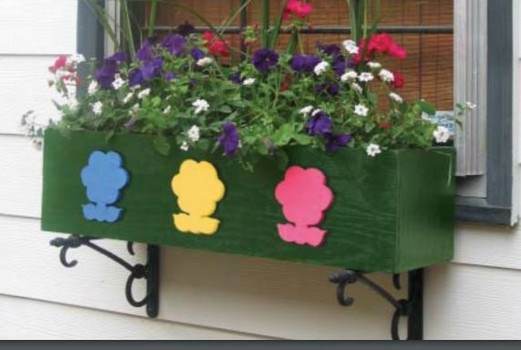 Have fun building and painting a window box that will certainly add to your homes outdoor decor. 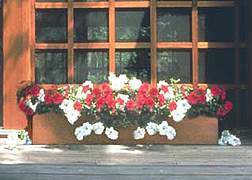 Create beauty both inside and outside of your home by building window boxes using this plan. 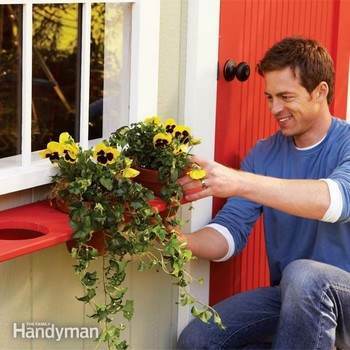 Easy to follow step by step plans for wooden window boxes that will brighten your homes curb appeal. 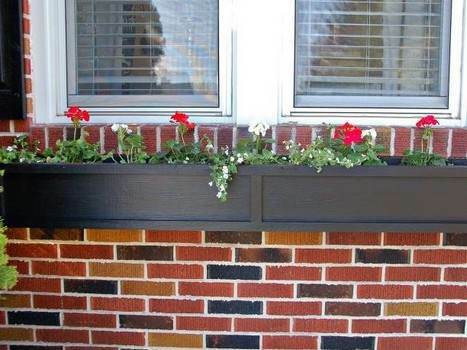 Make your home charming and welcoming with window boxes using this free woodworking project. Build good looking cedar window boxes that will last for years and years. You can build this simple window planter in less than an hour. This simple window planter resists rot and can be built in about an hour makes a window come alive with colorful flowers.